Sega Saturn '97 is a VHS cassette promoting the Sega Saturn (and more specifically, its games catalogue for 1997) in Spain. 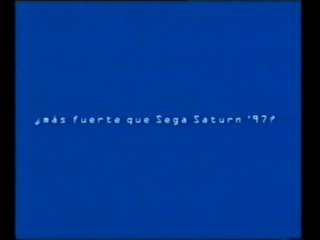 As well as showing preview footage and promotional material Sega Saturn '97 offers a Spanish commentary. A good chunk of the video is spent promoting Virtua Fighter 3, a game which was ultimately not released on the Saturn.